Inspired by Mexico, made in Minneapolis. 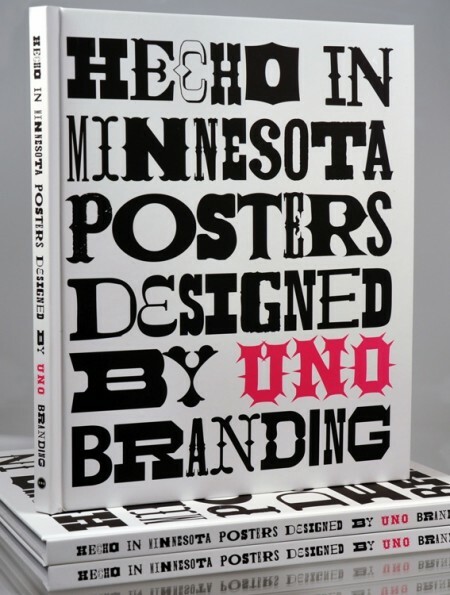 Above: Luis Fitch releases his latest, a book dedicated to the posters he has designed over the years for UNO Branding. Designed, printed, and bound in Minnesota, the book is available directly via UNO or on Amazon. For more, see the lengthy description via the official press release here. Featuring an introduction by Ana Luisa Fajer, the Mexican Consul in Minnesota, the book promises to be a joyful celebration of Fitch’s dedication to the broad-based community of “Latinos and Anglos” he has represented so well. Bravo, Luis! This entry was posted by Erik Brandt on Tuesday, April 17th, 2012 at 4:14 PM	and is filed under Aktuell, Education, Geotypografika, Globalization, Graphic Design, International, Internet, Minneapolis, News Links, Typografika, Typography.